The results confirm the electronics and entertainment giant's return to health after huge losses in recent years, but analysts said there are questions about whether the pace could be maintained. Sony reported net yearly profits hit 490.8 billion yen ($4.5 billion) for the year to March, a record high, up from 73.3 billion yen a year earlier. Annual operating profit more than doubled to 734.86 billion yen, while sales surged 12.4 percent to 8.54 trillion yen, the company said. Sales were up across the board, with the exception of the mobile operation, with asset sales adding to its operating profit, Sony said. The game division saw an 18-percent rise in sales largely, driven by the popularity of PlayStation 4 software, as well as foreign exchange rates and more subscribers to Sony's paid membership service. After the commercial successes of "Spider-Man: Homecoming" and "Jumanji: Welcome to the Jungle", Sony's pictures division saw sales rise 12 percent. Jumanji managed the rare feat of regaining the top spot in North American box offices on its seventh week in cinemas, and has earned more than $404 million in the North American market since its December 2017 release. Sony also saw robust demand for image sensors for mobile phones drive sales in its semiconductor business up 10 percent. "Brisk sales of image sensors, recovery in the movie business and a steady expansion in its game sector have contributed to its profit," Yasuo Imanaka, an analyst at Rakuten Securities in Tokyo, told AFP ahead of the release. The strong figures served as a grand send-off for Kazuo Hirai, who recently stepped down as the firm's chief executive after spending the past six years pulling the electronics-entertainment titan from deep financial troubles. Hirai led aggressive restructuring at Sony, terminating thousands of jobs while selling business units and assets. Meanwhile, Sony's quality sensors for smartphone cameras saw explosive demand and became a major pillar of the firm's revenue, along with the PlayStation series of game consoles, movies, and its financial businesses. After Hirai's retirement, former chief financial officer Kenichiro Yoshida became the new top executive. "New CEO Yoshida is expected to take on Hirai's business style. As Sony showed progress across the sectors, the company has achieved a full-fledged comeback," Imanaka said. But falling sales of smartphones continued and will likely drop further during the ongoing year. PlayStation 4 sales are also thought to be peaking after its gradual global launch in late 2013 through early 2014. For the year to March 2019, the firm expects a moderate slowdown, with net profit seen falling 2.2 percent to 480 billion yen and operating profit down 8.8 percent to 670 billion yen. Annual sales are expected to drop 2.9 percent to 8.3 trillion yen. The firm said its sales could slow due to the impact of foreign exchange rates and weak sales of mobile devices. Profits from the semiconductors segment were also expected to fall, Sony said. 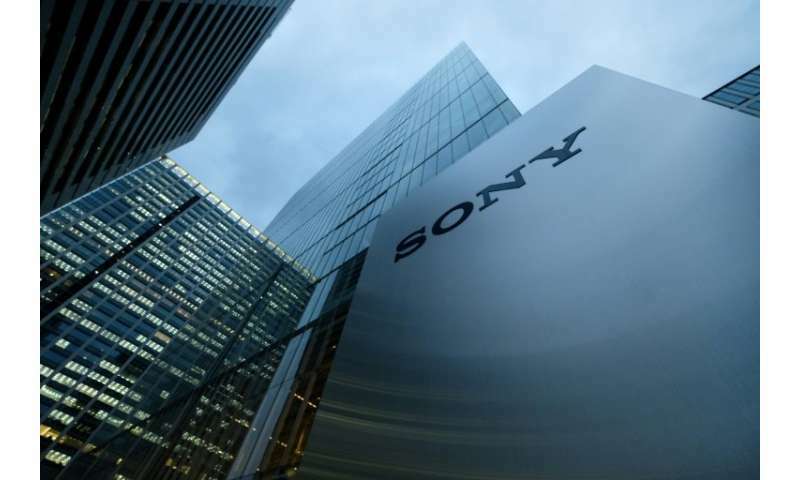 "Sony recovered sharply but is unlikely to grow at the same pace for the current fiscal year," Hideki Yasuda, an analyst at the Ace Research Institute in Tokyo, told AFP before the results announcement. "Sony needs a fresh driver if the company wants another boost."